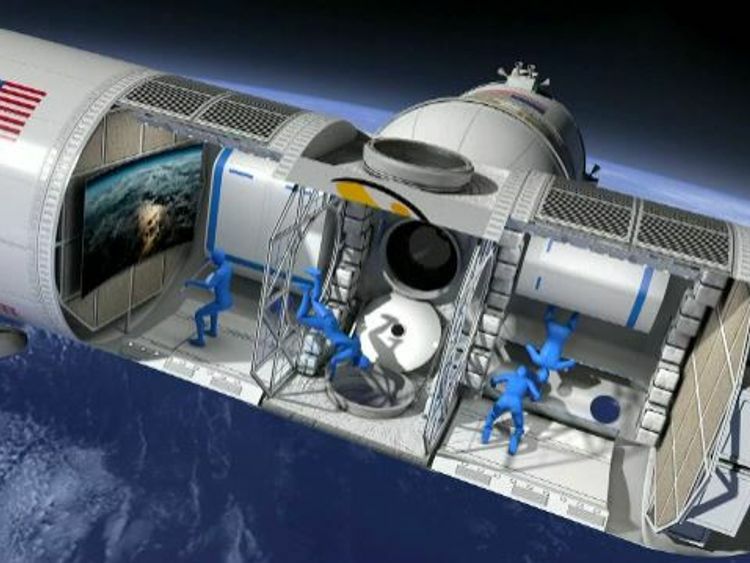 Announced during the Space 2.0 summit in San Jose, California, on Thursday, the ambitious Aurora Station project plans to allow six people - including two crew members - the opportunity to enjoy first-class accommodation above Earth as part of a 12-day odyssey among the stars. The once-in-a-lifetime experience will allow guests to experience the exhilaration of zero gravity and gaze upon stunning views of the planet below without the fear of getting lost in space, with the added perk of being able to witness an average of 16 sunrises and sunsets a day.Also on the agenda is the chance to take part in research experiments such as growing food in orbit and try out state-of-the-art virtual reality technology on the holodeck, while high-speed internet will let people put together some truly incredible Snapchat stories.Frank Bunger, chief executive officer and founder of developer Orion Span, said the hotel would open in 2021 and host its first guests the following year. "We developed Aurora Station to provide a turnkey destination in space," he said. "Upon launch, Aurora Station goes into service immediately, bringing travellers into space quicker and at a lower price point than ever seen before, while still providing an unforgettable experience." Mr Bunger said his goal was to make space "accessible to all", although a trip to Aurora Station will still require a three-month training regime - including a stint at a company facility in Houston, Texas - and each person will be billed a whopping $9.5m (€6.7m). Those keen to take part and with a few quid to spare can already put down an $80,000 (€57,129) deposit online in a bid to secure a place, but Mr Bunger - who set up Orion Span to "build and sustain human communities in space" - said there was more to the project than providing a unique holiday destination. "Aurora Station is incredibly versatile and has multiple uses beyond serving as a hotel," he explained. "We will offer full charters to space agencies who are looking to achieve human spaceflight in orbit for a fraction of the cost - and only pay for what they use. "We will support zero gravity research, as well as in space manufacturing. "Our architecture is such that we can easily add capacity, enabling us to grow with market demand like a city growing skyward on Earth. "We will later sell dedicated modules as the world's first condominiums in space. Future Aurora owners can live in, visit, or sublease their space condo. "This is an exciting frontier and Orion Span is proud to pave the way."